China is one of the most long-expected and long-requested settings for Total War. 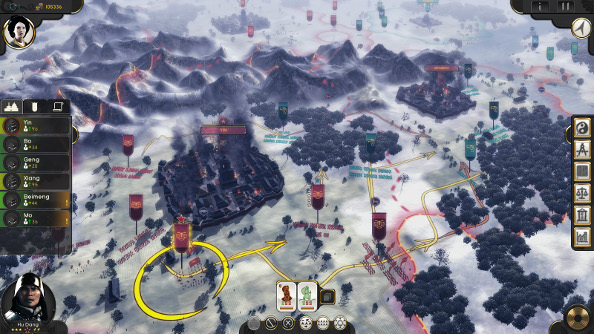 There are a lot of eras in Chinese history that are as bloody, dynamic, and militarily interesting as anything you’ll find in Europe between the rise of Rome and the fall of Napoleon, but Creative Assembly never took on the challenge. Today, however, Iceberg Interactive have announced they will be publishing Oriental Empires, an historical 4X set in ancient China. And while I’m totally judging a book by its cover here, it looks pretty great. The press release from Iceberg says that Oriental Empires is developed by R.T. Smith and John Carline, who worked together on Medieval 2 and Armada 2526. 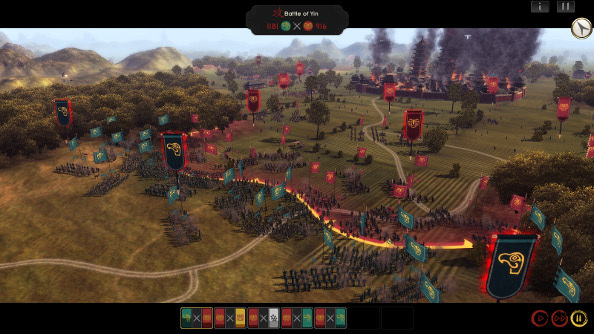 Smith’s credits go back ages, and he boasts some tremendous games to his credit: Medeival 2, Barbarian Invasion, Ancient Battles, and the battle AI in Shogun and Medieval (which I still say were probably the best Total War games when it comes to the AI’s tactical competence). So right away, I’m cautiously optimistic. But it gets better. That is an awful lot of game, and it sounds like a daunting design challenge. But then I look at these screenshots and I’m both excited and baffled. What’s going on here? Looking at these shots, the similarities to Total War are mostly visual. But it looks to me like it’s a hex wargame at heart, with huge formations occupying each individual hex. So maybe you get the spectacle of a Total War game, but it ends up playing on a single, contiguous map. The website says you can “watch skilled armies and reinforcements go to battle, according to the battle orders and formations set by the player.” That sounds a bit like Endless Legend, actually. That could be pretty clever, actually, since formation management is something that Total War never fully solved, both for players and for the AI. This gives you all the visual candy, but a slightly more rugged wargame underneath it. Anyway, that’s my thinking right now. All I know for sure is that I love the art and the setting. 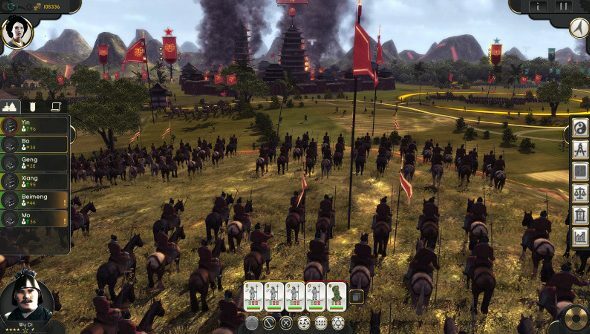 According to the press release, Oriental Empires comes out on Early Access sometime this summer.